Havasu Nutrition Night Time Fat Burner claims to provide certain benefits. Among these include being a stimulant-free fat burner that limits the absorption of carbs, promoting healthy elimination, warding off nighttime cravings and preventing morning hunger pangs. It also claims to help improve body composition and post workout recovery by helping to aid the body’s natural sleeping process of repairing and rebuilding muscle and bone tissue, facilitating cellular regeneration and restoring your metabolism’s balance. Beyond that, the manufacturer says that this product can also help you enjoy a restful night’s sleep, promoting deeper relaxation. The only way to know if any of these benefits are even possible is to take a look at the product’s formula. When this Havasu Nutrition Night Time Fat Burner review was written, the ingredients included: White Kidney Bean Extract Powder, Green Coffee Bean extract, L-Theanine, L-Tryptophan, Valerian Root Extract, Lemon Balm Extract, Passion Flower Extract, Melatonin. There are a few things to note about the ingredients. Firstly, white kidney bean is believed to block carbs. That said, research has never proven this ingredient to be effective for weight loss. 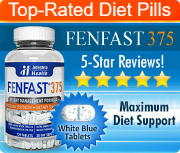 Moreover, a carb blocker is meant to be taken with high carb meals and this dietary supplement’s suggested use is to take 1 capsule after your last meal or as directed by a health care professional. Therefore, it doesn’t quite make sense why they would bother putting a carb blocker in a nighttime formula since you won’t be eating while you’re sleeping. Secondly, this product contains green coffee bean. The label does not say that it has been decaffeinated, which means that there is still caffeine in this ingredient. Although the amount of caffeine is reportedly minimal in green coffee bean, the fact remains that it still exists. 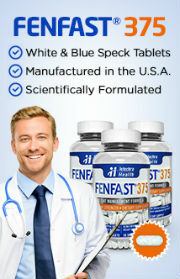 Therefore, the manufacturer’s claim that its Night Time Fat Burner is stimulant-free is false. While it may be considered a non-stimulant product due to a low amount of caffeine, declaring it caffeine-free would mean that there are zero traces of caffeine in these pills, which is not the case. As for its other ingredients, valerian root, lemon balm, passion flower and melatonin, research has found that these herbs can help promote relaxation and calm, which could support more restful sleep. On the whole, Havasu Nutrition Night Time Fat Burner may help to provide you with a more restful sleep. This, in turn, could potentially benefit your weight management goals, as proper sleep can help to reduce feelings of stress and help you to be more mentally alert, which can naturally provide you with more energy and improve your chances of making smarter choices when it comes to staying committed to a calorie-reduced diet. 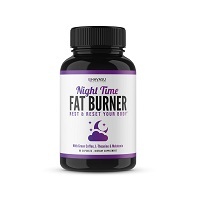 All that said, it is highly unlikely that this product will provide any additional fat burning at night compared to the typical amount of fat your body would naturally burn while you sleep. Be sure to talk to your healthcare provider if you are thinking about making Havasu Nutrition Night Time Burner a part of our weight management program.